What should you be prioritizing when you get medical insurance? What exclusions and other important medical insurance related matters should you be aware of? What is covered in medical insurance? Why is medical coverage important? Insurance should low cost (high value) and cover high, unexpected events. One of the highest costs that is covered is namely medical hospitalization and surgery costs. We often think that we won’t fall ill or require hospitalization/surgery but it can indeed happen to anyone. In fact for many insurance companies, medical coverage is barely breaking even (or even a loss leader) to ensure that you get covered. Yes there is the government hospital (for Malaysians) which is very low cost comparatively and also in recent years Full Paying Patient services at selected government hospitals. The trade off is in the often more crowded environment, longer waiting times, and a differing level of care/service you receive. What should I look for in medical insurance? There are 2 major choices for medical insurance. Firstly is a standalone medical insurance which only covers medical hospitalization and surgery. Secondly is medical coverage which is attached to a life insurance policy (This is also known as a medical rider). How much is the room limit per night if you are hospitalized or in Intensive Care Unit (ICU)? What are the latest Hospitalization Room Rates in Malaysia? Recommendation: especially when you are below 40, opting for medical coverage with no co-insurance is recommended and costs only slightly more. If I am covered by my company insurance, do I need my own medical coverage? Firstly would be to cover your medical, life & CI coverage needs. Your insurance costs should be no more than 10% of your total net income. Can I claim from 2 medical cards? No, you can claim only from 1 medical insurance. However, if your limit is insufficient/runs out, you can continue with your 2nd medical insurance. Advisable to claim your company insurance first before your personal medical card. Co-insurance is whereby a % of total medical costs are borne by the policyholder. Co-insurance can be considered if there is a low maximum cap (i.e. RM500/1000) of amount payable by policyholder. Deductibles is whereby a certain amount is payable by the policyholder before your medical insurance kicks in. 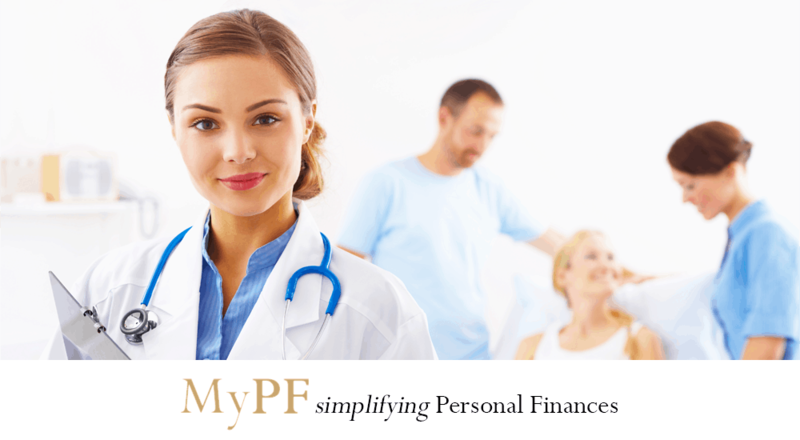 Only some insurance plans have deductibles but it may be considered if you are self funding your medical costs all the while & are worried in case something major with high costs occurs. Do I need nursing care and hospitalization allowance? For most of us, nursing care and a hospitalization allowance are additions that while may be good to have are unnecessary. There is no free lunch and the cost of having these additional non-care benefits are charged into the premiums that you will pay for all the years that you have your medical insurance. I already have existing personal medical coverage. However there is a new medical plan that I really like (or the agent is very convincing). Should I upgrade? How should I do it? Firstly, many agents use the term “upgrade” very loosely. Unless it is is the same insurance policy with the same policy number under the same insurer before and after, it is actually not an upgrade. If you have a standalone medical insurance, yes you should consider changing to a life insurance policy with a medical insurance rider for your long term benefit. If you have a medical rider, most of the time you should continue on with your existing insurance policy as you have already paid for the insurance costs for the medical coverage. However, if your old plan is really not meeting needs with insufficient medical limits and is very poorly designed (often through the agent’s fault although sometimes the insurer plays a role as well), then you may consider upgrading if it will save you at least RM50 monthly and/or provide significant benefits upgrades. There is a period before your new medical policy comes in-force and also a replacement of policy clause for insurance agents. The recommendation would be that you start a new policy first and then only stop your older policy once you no longer need it at least 12 months after the inforce date of your new policy. How long before I am covered medically? Immediately once your policy is inforce for accidental cases. For non-accidental hospitalization, the waiting period is typically 30 days. Do I need to bring my Medical Card everywhere? While most insurers still issue you a medical card, it is actually not required as you can get admitted to a hospital who will contact the insurer with your IC to confirm your coverage details. Note: For information purposes only. Please check your policy & consult your insurer for detailed information or contact us for inquiries. E&OE.